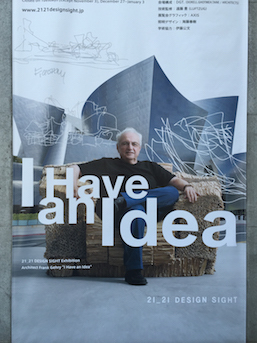 “I Have An Idea” taps into the mind of architect Frank Gehry and sparks inspiration of all kinds. 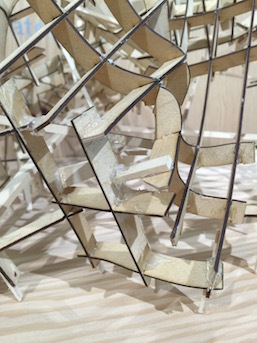 For an architecture fan, a Frank Gehry exhibition is a must. But what is the draw for someone who recognizes the name but can’t identify any of his buildings, such as the Guggenheim Bilbao or Fondation Louis Vuitton? If you love the director’s commentary on movies, “making of” documentaries, or if you are fascinated by the creative process, this exhibition is for you. 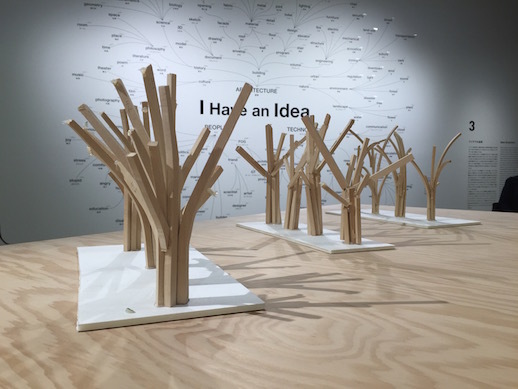 “I Have an Idea” peers into the balance of creativity, efficiency, and practicality in Gehry’s thinking. The exhibition starts with a video projected on walls, creating the sense of being inside one of Gehry’s buildings. You then stroll through a collection of objects, books and images that have inspired the architect. Of particular note is a TV screen showing Gehry voicing himself on an episode of The Simpsons. For non-architecture fans, this dash of pop-culture helps to place Gehry’s spot in modern culture. 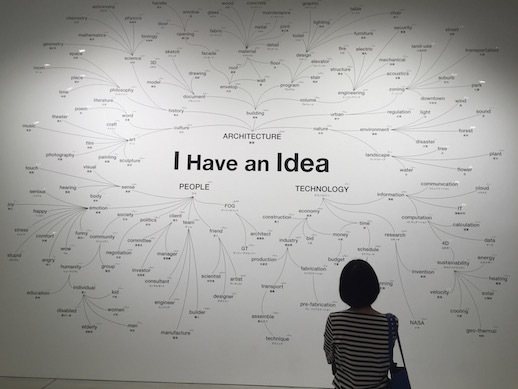 In the next room, a giant mind-map covers one wall like a diagram of Gehry’s brain. This space is filled with the evolutionary stages of various projects, from drawings to generations of models, and then finally to photographs of finished buildings. Sprinkled around the room are quotations on his problem-solving and design process. No matter what your creative area, the mix of quotations and the raw energy of the sketches and models stir the creative juices and inspire. Let’s look at it for a while, be irritated by it and then we figure out what to do. A wonderful reminder that we won’t always be happy with our work and it’s ok. It’s part of the process. I like the clutter. It is comforting. I know it’s time to get about 50 percent out of here, but it’s inspiring to me. The idea that such elegant buildings can come from a jumbled state is somehow reassuring. It’s also an interesting counterpoint to the current fad of decluttering your space to work more efficiently. So it became about how you took the energy of the idea through the process and ended with a building that had feeling and genuine passion. This is an intriguing point for discussion. How do you maintain the energy of an idea and refine it without killing it? Those of us who are writers may feel it’s possible to edit the life out of a piece in the search for perfection. The film at the end of the exhibit is also worth watching. 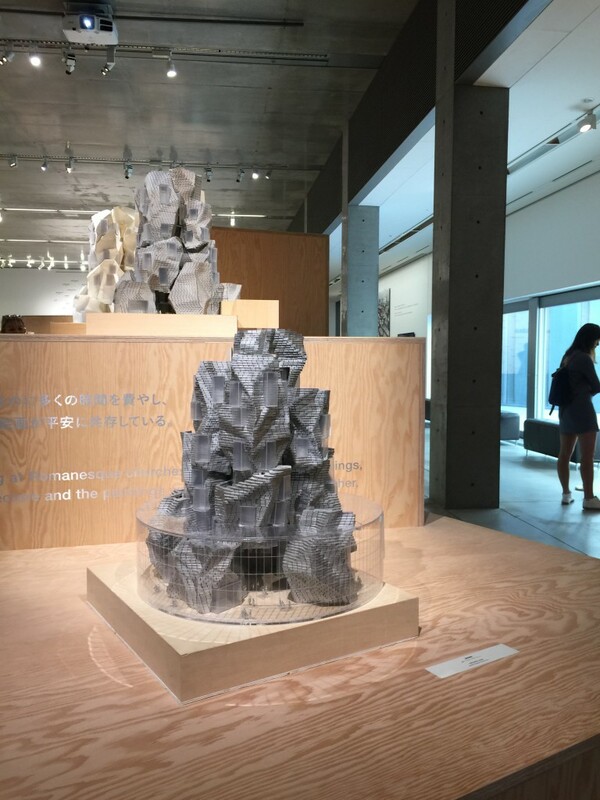 It covers Gehry’s ideas about architecture, the role of 3-D modeling, and the use of a master model. 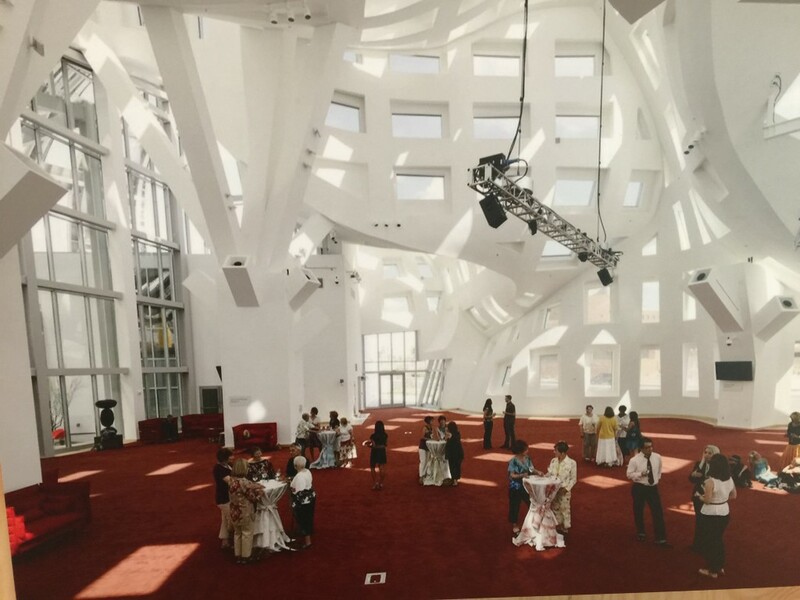 Gehry’s concept of the latter streamlines the building process by creating better design, analysis, and cost savings, with stronger organization and communication at all levels. These points are especially pertinent given recent incidents of faulty construction by the building company Asahi Kasei. While there has been a lot of finger pointing, such revelations certainly undermine people’s faith in buying property and in the integrity of architecture and construction. An article in the October 20th edition of The Japan Times had relevant quotes from Nobuya Tsutsui, executive director of Japan Institute of Architects (JIA), who states, “When the workflow is so detailed and complex, it is almost impossible to check the results at each stage.” Also, “We need a more transparent system defining subcontractors’ roles and their responsibilities, which should also be more comprehensible for housing buyers.” As Gehry’s use of 3-D modeling addresses these issues, architecture can perhaps wield these tools to bring about an era of increased security for buyers and restored public trust. 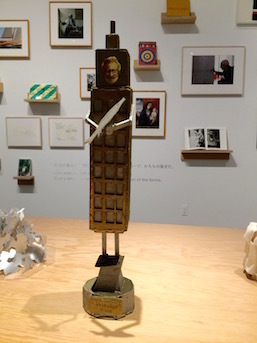 One leaves the exhibition with the feeling of having received two gifts. The first is the observation of how building design works, which gives an appreciation for architecture and the use of space. 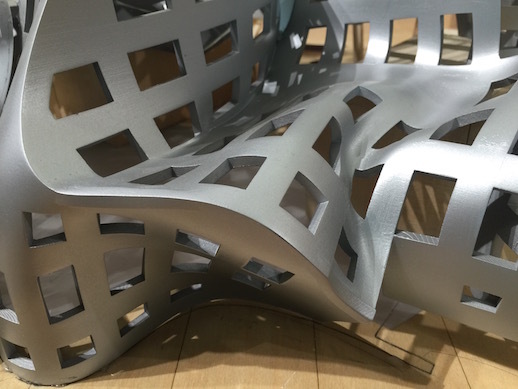 The second take-away is insight into Gehry’s creative questions and process, offering the chance to learn about how a master deals with issues faced by every creative. The experience amazes and humbles, but makes you eager to work on your own ideas. You leave with a brain swimming with them.